The film opens with a flashback to the Dark Ages, when King Arthur and Merlin betray the powerful immortal witch Nimue the Blood Queen (Milla Jovovich), who simply wanted humans and monsters to co-exist peacefully. They literally slice her into bits -- in all her g(l)ory -- and ship her pieces all over Britain. 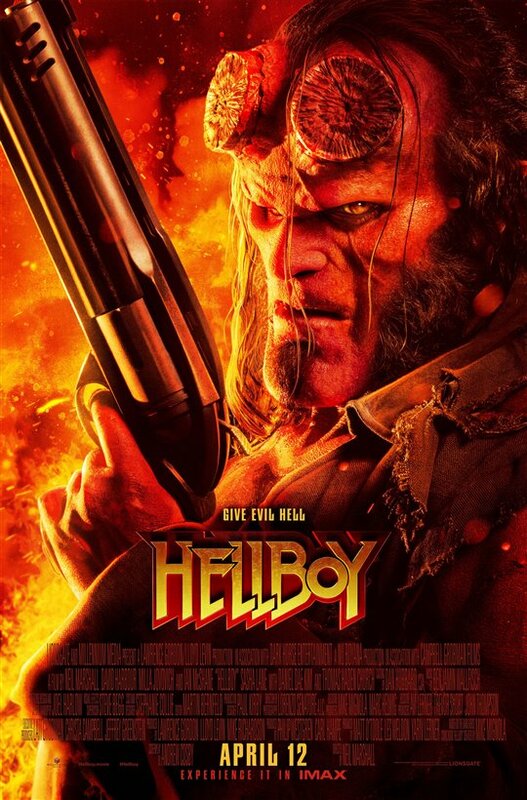 I really enjoyed watching this darker, grittier and much more gory version of Hellboy. It stays true to the comics and the action sequences are larger than life -- like our antihero itself. The stunning visuals, especially during the fight scene with the giants, are particularly noteworthy. Glad you liked it but itâ€™s at 15% on Rotten Tomatoes which is compiled from all the international critics. Most of them felt Harbourâ€™s performance was anything but on fire. Everyone has to make up their own mind but this review is in the minority. That said, your writing is good. Everyone enjoys different things when it comes to movies or entertainment in general. I'm not criticising your writing it's fine but I'm wondering why you think Harbour is "on fire" and liked the performance when 12% of critics on Rotten Tomatoes recommended the film and most didn't like him? They are the majority and it's okay to be in the minority and recommend it but this film was torn to shreds by others so it's surprising to find someone who totally enjoyed it. I get what you are saying about reboots and past films but the comparisons are always inevitable. For instance you can't watch the trailer for The Joker and not think that nobody can top Ledger. For some a certain actor will always be Hellboy and everything else has to stack up and when it's too different or the writing isn't there you get unfavorable reactions.